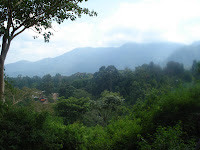 I have been working on this blog entry for about 10 days now. Every time I sit down to write it, I research quotations, stories, personal anecdotes, statistics – everything – with the goal of coming up with some clever vehicle to use for my introduction and conclusion that will tie my story into a nice, neat package. But after the 10th day of looking for quotations, stories, personal anecdotes, statistics – I realize that the problem isn’t that I can’t find the right vehicle. The problem is that I’m trying to consolidate our 3 weeks in Ethiopia into a nice, neat package; when in reality, my story of Ethiopia is neither nice, nor neat. It’s messy. Our journey began long before June 13th. 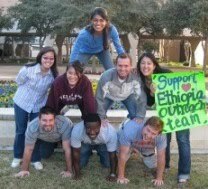 For me, it started on November 1st when I was offered the position of team leader, charged with the task of forming, organizing, planning, and running the 2010 Ethiopia trip. Of course I had my own worries. Would we be able to raise the money and plan the trip and purchase the medicines and bring the medicines? In the meantime, would we have enough time to study for our first year medical school classes? The ensuing weeks had all sorts of ups and downs: from selecting a team, to hosting a very successful bake sale, to entering our program into the ideablob contest, to watching ideablob go bankrupt mid-contest. Some people might have called that an omen. Me? I had no idea. The Spring semester brought with it a slew of challenges. Between confusion regarding fundraising policies and the recasting of our school’s international program standards, there were times where we thought our trip might not happen altogether. At one point I remember saying that it would be a miracle if our team even made it off the ground. Would our team be allowed to go to Ethiopia? Would we be able to fundraise and run a well-planned trip under such short notice? Now, I look back on all of that chaos and realize (1) yes we could and yes we would and (2) it was all worth it. If anything, I learned great lessons in perseverance. Thank you to all of our supporters who gave us such great encouragement and words of wisdom in that time. But this post is really supposed to be about Ethiopia! Arriving in Ethiopia, itself, felt like a triumph. Of course, as many of you know, our medicines for our clinic were confiscated by customs shortly after landing. Prior to arriving in Ethiopia, we asked all of our contacts if we needed to file any paperwork or bring any documents to help us get our items through customs. We were informed that we shouldn’t have any problems. Little did we know that a few days prior to our arrival, the Ethiopian government had begun enforcing new policies regarding healthcare and the handling of medicine. What a nightmare. That week, as we shadowed physicians and toured a number of different hospitals, our guide, Negusse, ran around the city pulling all the strings he had to help us get our medicines back. Two weeks later, Dr. U arrived and spent several days getting everything straightened out. Thankfully our medicines were returned, but it was not easy! On a personal note, I am grateful that the government is enforcing rules regarding what is allowed to come into their country. And we’ve learned many lessons that will be very useful for next year’s team! Our time in rural Aleta Wondo was peaceful. For the first portion of our time there, we conducted a maternal health survey to help Common River evaluate the status of maternal health in Aleta Wondo. Our data will assist them in creating and altering education programs to better services to mothers in the area. I enjoyed performing this survey because it gave us the opportunity to get to know the people whom we hoped to serve and to learn more about the culture and the area. We sat in their homes, shook their hands, pet their animals, played with their children, accepted their embraces, and listened to their stories. On the first day, Wade and I had been conducting Maternal Health surveys with our translator, Girum, all morning. I’ll be honest, after lunch I was tired and not terribly excited about going out to collect more surveys. Nevertheless, we arrived at another home and asked the head of the household if we could question the women there. He obliged and we reconvened our procedure of asking questions and recording data. Once we finished the survey, the man asked us if we would take a look at his daughters. One had a heart problem and another had fallen off a motorcycle the day before. She limped out and I quickly glanced at her wounds to see that they were infected. Maybe it’s because I was exhausted, or maybe it’s because I was tired of just observing – but I looked at Wade and exclaimed, “She just needs first aid! They’re infected. We have first aid supplies. All we have to do is clean it. I’m pretty sure we can help her.” Girum tells the family that we’ll be back and the three of us walked back to our compound. I frantically search all around our room for whatever supplies that customs hadn’t confiscated. Myra passes me some hydrogen peroxide, gauze, and tape. Wade and I return to the home where Girum proceeds to inform us that the family had already been to the clinic. We proceed to clean her scrapes and gashes again, and cover them with band-aids and gauze. We tell the father that the clinic had treated her correctly, and that he should take his daughter back if her wounds do not get better. After that, I’d like to say that I felt a profound sense of accomplishment. 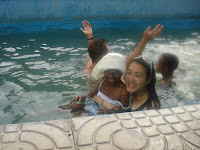 At the time, I felt like we were doing something novel that would save this girl from getting gangrene and losing limbs. But in reality, she was already in the healing process. We did something very basic and minor. In the end, I was reminded of my own humanity. I was raised in America and was brought up with the mentality that I can control my destiny, I can forge my own path, that I have the capacity to save the world. Just like so many before me, I was so eager to do something. But in reality, I am no knight in shining armor and Africa doesn’t need my saving. I am a person, invited to step alongside the amazing work that is already happening in Ethiopia. In the final portion of our trip, we hosted free clinics for the people of Aleta Wondo where we would see 60-100 patients per day. By the end of the week, we had seen over 400 patients! For me, this is where most of my memories were built. One day, we were on our way out to conduct maternal health surveys when one of the Common River staff approached us with a little girl who constantly wore a hoodie over her head. He removed the hood to reveal to us a very bad case of tinea capitis (fungal infection). I remember looking at that and thinking, “I think Dr. U will know what to do… I hope he does…” We told him to bring her to the clinic, and that we would probably be able to treat her. Sure enough, they came to our clinic before we even opened on Monday morning. Demekech was the very first person that Dr. U saw. He learned from her grandmother that she was HIV positive. Additionally, he noted a very large, painful mass extending from her cheek to her neck which seemed to be lymphadenopathy. He concluded that she either had an odd-presentation of tuberculosis or some form of lymphoma. A diagnosis of tuberculosis could undergo the standard regiment of rifampicin, isoniazid, pyrazinamide, and ethambutol; with treatment, 95% of TB cases are cured. A diagnosis of lymphoma, which could not be treated in Aleta Wondo, would be fatal in 3-6 months. I remember looking up and seeing Demekech’s grandmother cry as she listened to the news. 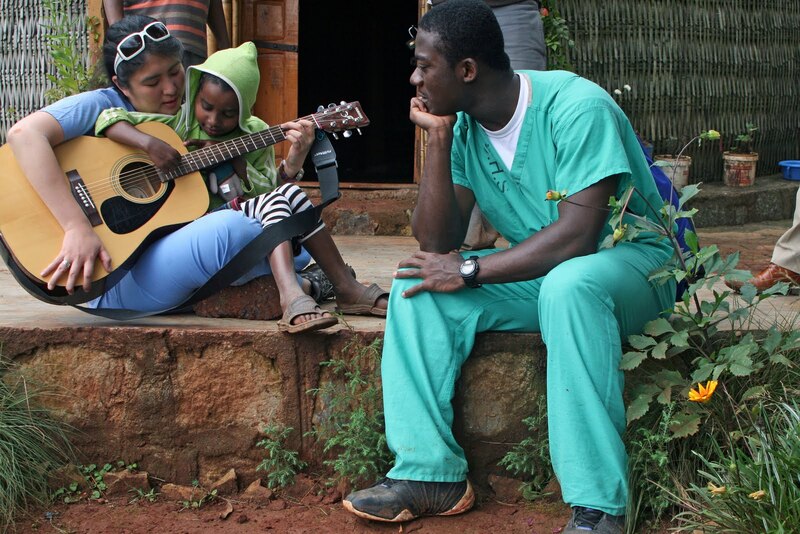 It seemed like Demekech’s only hope was to be admitted to Mother Theresa’s Mission in Addis Ababa where she could be treated for her HIV and lymphoma. I took Demekech away to take her mind off her illness. She was feverish, and obviously not feeling well. I spent a lot of time with Demekech. Every day that week during our free time I would sit and play with her. I love kids, I really do – but my threshold is usually around 3-4 hours. After that I get tired and irritable. But I never got tired of Demekech, I never stopped loving her. I don’t know if I ever came to terms with the differential for Demekech’s illness. I was stuck on the fact that she was HIV positive and orphaned by AIDS. I can’t imagine what it must be like to watch your parents die from AIDS, and then to find that you are destined for the same fate. 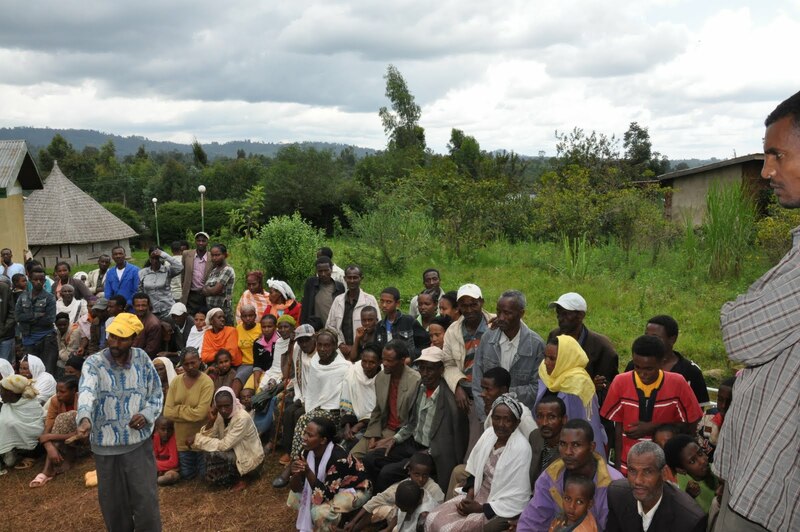 Demekech’s brother, Zerihun, also had a large mass indicative of lymphadenopathy but he refused to be tested for HIV. One day, Tsegaye and Tesh spoke with him and he decided to get tested. Even as I write this, I’m not entirely sure how to share this story, or which parts to share and which parts not to. And I can’t figure out why, but for some reason or another, my heart still breaks whenever I think about Demekech. Because we were traveling through Awassa, we agreed to take Demekech, Zerihun, and their grandmother to Mother Theresa’s Mission in Awassa. When we arrived at the clinic, we spoke with one of the sisters, but it seemed like there was a protocol that would need to be followed in order for Demekech and Zerihun to be admitted and transferred to Addis Ababa. I started to worry that they would lose out on their only chance for a cure; I don’t know when the last time was that I prayed so hard. 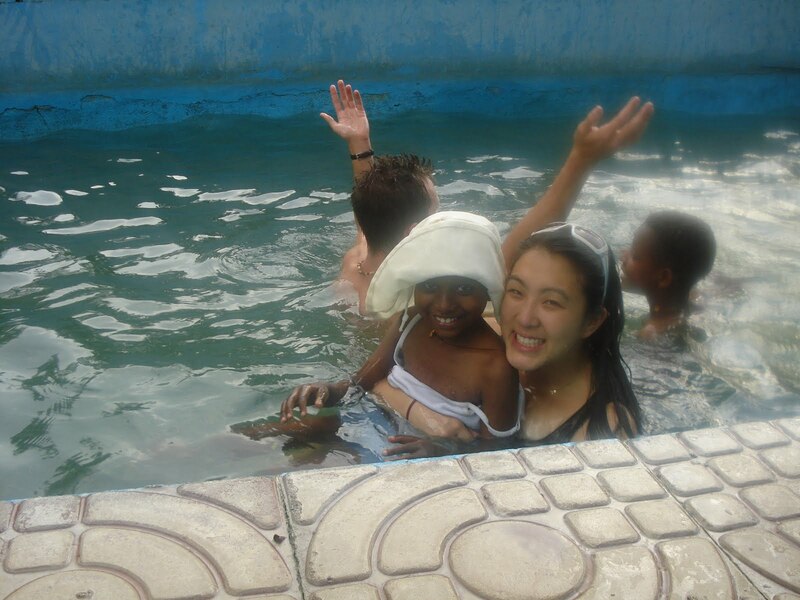 On the bus ride, as I held Demekech on my lap, I couldn’t imagine what it would be like to have to say goodbye to this little girl. And I realized then that no matter how much I loved her, no matter how long I held her, there was nothing I could do that would bring back her parents, that would cure her of her HIV, that would shield her from all the problems that she has and will encounter. And once again, I was reminded of my own humanity. Regardless of what disease she has, she looks forward to a very difficult life. We were told by Mother Theresa’s mission in Awassa that we would need to wait for them to get permission from Addis Ababa before we could bring Demekech and Zerihun. In the meantime, we took their family with us to the Hot Springs in Wondo Genet for some rest and relaxation before heading back to the states. It was a marvelous time and I think we all enjoyed those last moments together. 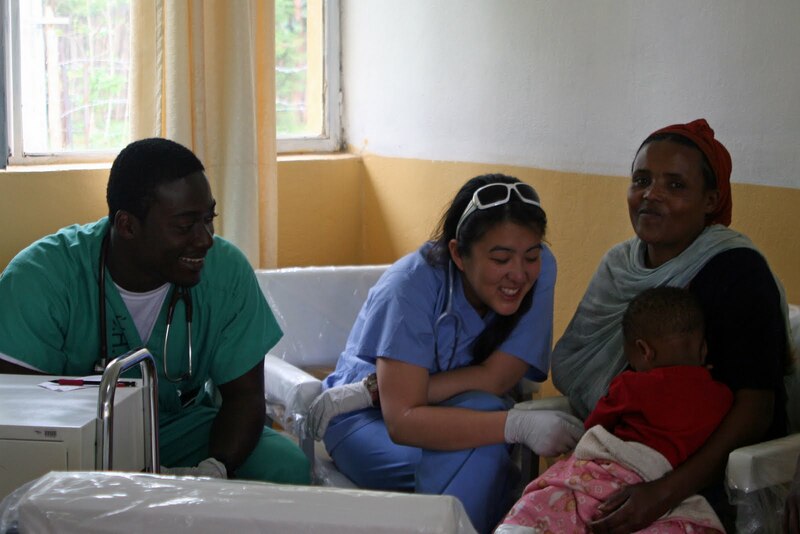 The next morning, we were getting ready to head back to Addis Ababa when Dr. U noticed Demekech cough. A cough means one thing. The diagnosis is more than likely tuberculosis than lymphoma. Dr. U completed another physical exam on Demekech before calling Dr. H to discuss her case and whether or not she should stay in Aleta Wondo or head to Addis Ababa. Afterwards, Demekech’s grandmother pulled out the medications that Demekech was on. And there before us was a little bag labeled “Isoniazid." Demekech had already been diagnosed and was being treated for TB. And everything was decided. Demekech and her family would return to Aleta Wondo where she would continue treatment for TB (with multiple drugs rather than just one) and HIV. It was very much the epitome of a bitter sweet moment: on the one hand, I think we were all hurt that we had been missing this crucial piece of information; on the other hand, TB has a much better prognosis than Hodgkin’s lymphoma. The wounds of Ethiopia run deep. On the one hand, there is an extreme lack of healthcare. Every day, hundreds of people who had walked 30 to 40 to 50 kilometers would line up outside our clinic hoping that we would deliver some sort of panacea. On the other hand, despite the poverty, overpopulation, lack of water, lack of access to basic necessities of life – Ethiopians are an extremely loving, hospitable, friendly, happy group of people. My heart still longs for Africa. There are mornings where I wake up and wish I could step out of my hut to see the cows and horses grazing in the field, to enjoy a fresh (and I mean fresh!) cup of coffee and a simple, homemade Ethiopian breakfast. But mostly, I long to see Demekech run to meet us and give us hugs, or do fist bumps with G-Alshogoleet, and run around and play with Aymanut. My story of Ethiopia is not nice and neat. It’s messy. But life is messy. And it is in the midst of that mess that we find joy, hope and love. I think Ralph Waldo Emerson put it rather well when he said, “It is one of the most beautiful compensations of this life that no man can sincerely try to help another without helping himself.” I feel like Ethiopians gave me so much more than I could ever have given them. I experienced such love and kindness; and I learned great lessons in what it means to be joyful in hope and patient in affliction. Admittedly there are times when it seems like the work we were able to do is only a drop in the ocean. But I look forward to seeing the ripple effect of that drop -- in my teammates, in future Ethiopia Outreach teams, and in the community of Aleta Wondo. Upon our departure, we rest easy in knowing that there are amazing people at Common River who continue to seek progress for the people of Aleta Wondo and that really, everything is in God’s hands. Hi Amy, wonderful to hear and read about your son from Aleta Wondo. Would love to connect. How can we reach you? You can send your contact information to uthscsaethiopia2010(at)gmail(dot)com.